MAJOR PRICE DROP ON THIS AMAZING SINGLE STORY HOME!!! BRING US AN OFFER!!!! This is the home you have been waiting for! 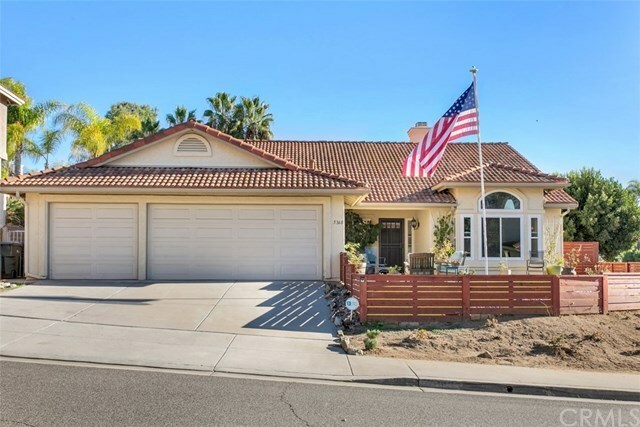 Single story in North Oceanside's finest neighborhood on well-landscaped corner lot. Your guests will feel welcome as they enter your front courtyard entrance with pavers. Home is located on a corner lot with low maintenance landscaping natural-looking artificial turf. Updated GOURMET kitchen with white cabinets and with Quartz counters; massive 10' island with seating; five burner Viking cooktop, stainless steel appliances; farmhouse sink; recessed lighting; window seating with storage. Lighted walk in pantry. Italian wood plank tile flooring throughout main living area, hallway and master. Inside laundry. Dual pane windows were installed three years ago. Oversized sliders from kitchen and master will take you to the outdoor area where you can relax or entertain under your Alumnawood covered patio. Enjoy planting a garden in whiskey barrel containers and enjoy fresh squeezed lemonade from your lemon tree. TWO WEEKS AGO MASTER BATH UPDATED WITH WHITE CRISP CUPBOARDS AND QUARTZ COUNTERS. ALL APPLIANCES INCLUDED, LG WASHER AND DRYER AND FRIDGE.